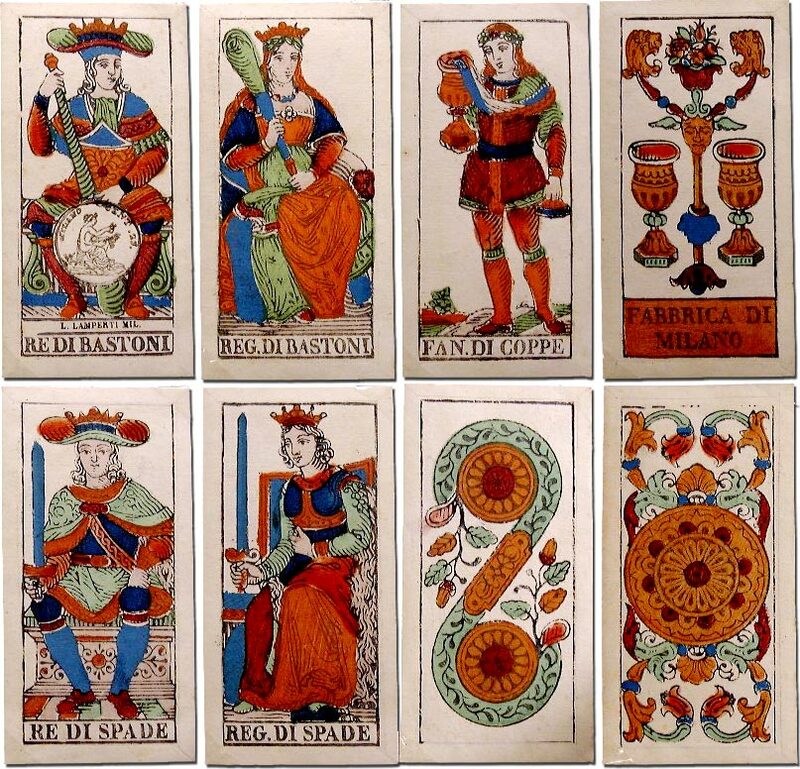 Above: numeral and court cards from an Italian tarot pack (with inscriptions in Italian) made by Lamperti of Milan, c.1850. Many earlier examples had inscriptions in French. The stamp on the Re di Bastoni was in use in the Kingdom of Lombardy from 1850 to 1857. The text is 'MILANO', the value is 'CENT. 25.' It was for regular and Tarot packs. This was used for 'rough' cards, the value for smooth cards was 50 cent. (Info courtesy Gianni Monzali).